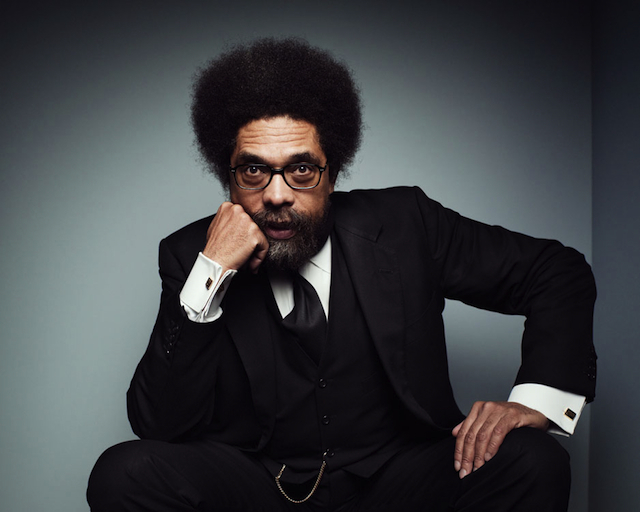 Prominent intellectual, best-selling author and provocative talk-show guest Dr. Cornel West heads a line-up of prominent African Americans who will address social justice issues at the Heritage Lecture Series during the 2016 Dr. Martin Luther King Jr. Celebration in St. Petersburg. The series, sponsored by the Cross and Anvil Human Services Center, will be held Jan. 11-13 at SPC’s Allstate Center campus, 3200 34th St. S. The event is free and open to the public, but advance registration is required. Joining Dr. West as headline speakers will be Dr. Lani Guinier, law professor at Harvard University and former member of the U.S. Department of Justice Civil Rights Division; Charles M. Blow, columnist for the New York Times; Dr. Gerald Horne, author, historian and professor at the University of Houston; and John L. Burris, civil rights attorney and legal analyst for cable news media. The Heritage Lecture Series, entering its third year, seeks to engage the African American community in recognizing its accomplishments and defining its grievances, educating its young people and challenging its members to carry on Dr. King’s fight for equality. Speakers will focus on the effects of recent changes in law, education and history as they relate to racial justice for African Americans. The Cross and Anvil Human Services Center, 1201 Seventh Ave. S., St. Petersburg, is a partnership between the City of St. Petersburg and the Greater Mt. Zion African Methodist Episcopal Church. It provides academic support services, mental health counseling, comprehensive youth mentoring, veterans’ services, and parental engagement training. Additional sponsors include: St. Petersburg College, the Juvenile Welfare Board, the Pinellas County Sherriff’s Office, Duke Energy, Pinellas County Schools and the Institute for Strategic Policy Solutions at St. Petersburg College. « Cross & Anvil offering free HIV testing – A MLK Day of Service Project	» 2016 Heritage Lecture Series – What’s wrong with “All Lives Matter”?